Bogaert, P.V. and Corte, W.D. (2001). Assessment of Effectiveness of Post-Tensioning Applied to Underground Structures. Proceedings of the 7th. 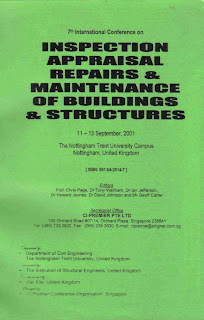 International Conference on Inspection, Appraisal, Repairs & Maintenance of Buildings & Structures, 11-13 September 2001, Nottingham, UK. Ms. 657-662.